Last Saturday saw us heading up the A1 to Richmond for Ashleigh and Craig’s wedding. 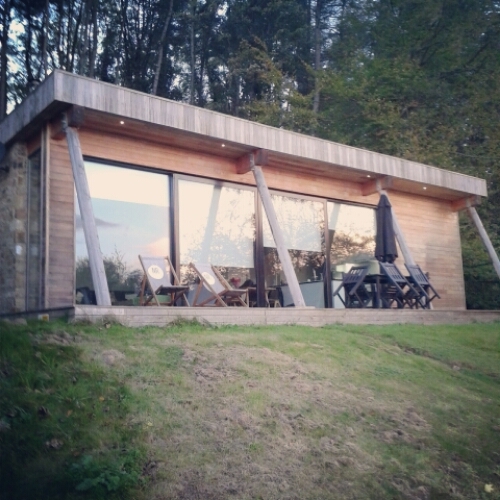 Their reception was taking place at Natural Retreats, an outdoor venue in Swaledale in the Yorkshire Dales. The venue is more often used for holidays and short breaks. It’s a collection of beautiful lodges set in a secluded valley. We were lucky enough to get to use one of these lodges as a dressing room, and it’s safe to say a few of us didn’t want to leave! 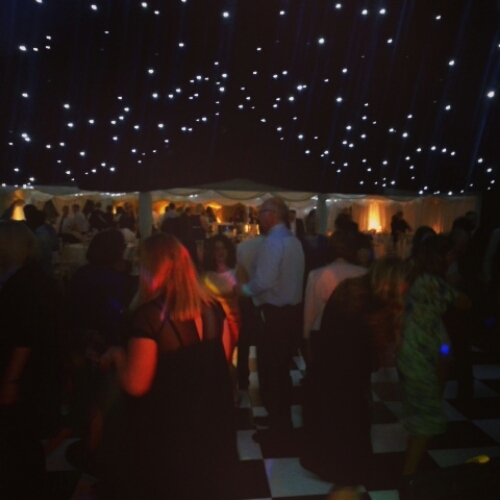 The reception itself took place in a magnificent marquee provided by the good people at Countryside Events. We set up on a stage next to a ‘secret’ dance floor hidden by a long curtain right behind the top table. The big reveal came just before the first dance, which really added to the atmosphere. Ashleigh and Craig had chosen ‘Make You Feel My Love’ by Adele for their first dance, and it was an amazing sight watching nearly 200 guests trying to get a glimpse of the happy couple. There was a forest of phones and cameras. The crowd soon joined Ashleigh and Craig on the dance floor, and from that point the party really started. The crowd was a real mix of ages so we were able to draw on our whole song list to ensure we played something for everyone – from the Beatles and the Stones to Amy Winehouse and the Arctic Monkeys. 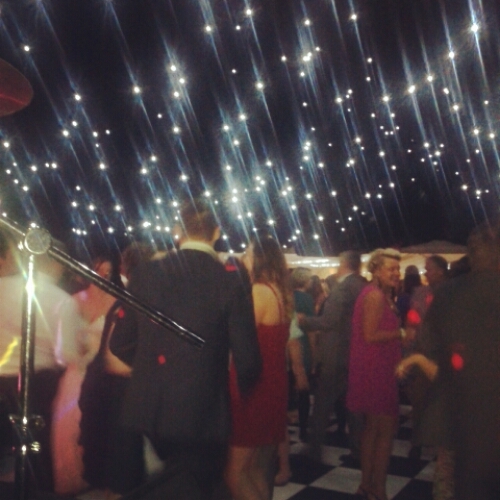 We were treated to a busy dance floor all night – Ashleigh and Craig’s guests were certainly up for a party – and towards the end of our set it was hard to tell where the dance floor ended! Because of the timings of the event, we had agreed to split our performace over three sets instead of two. This allowed us to keep the atmosphere upbeat throughout the evening and finish just before midnight. We then took over DJ responsibilities until 1am. We believe that offering this kind of flexibility and range of additional services really helps couples create the night they want, rather than what their wedding band delivers to everyone. We regularly speak to clients who are frustrated at how inflexible some bands will be even when they’re getting paid for the extra work! Packing up outside of a marquee in the dark is always an experience, but we were on the road in good time with no delays. Bed time was a reasonable 3 am!